Bombardier said it was on the brink of selling up to 61 new C Series jets today in a potential $4.8bn (?3.7bn) deal that will provide fresh cheer to workers at the firm's Belfast plant. The Canadian engineering company said it had received a letter of intent from a European customer that plans to buy 31 of the airliners, with the option to purchase an additional 30 should it wish to. 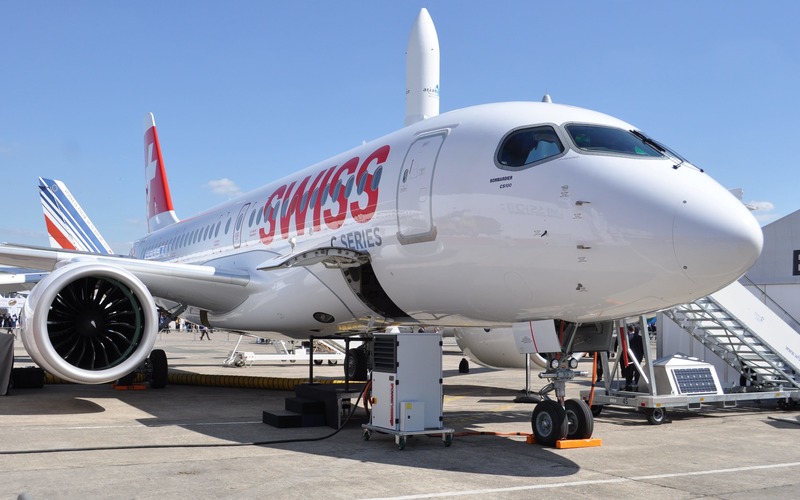 Bombardier chief executive Alain Bellemare said the deal “confirms the increasing confidence customers have in the C Series,” adding that the firm “expects sales momentum to accelerate quickly". The future of the C Series and the workers that build its wings in Belfast had been in doubt after the US decided to slap import tariffs as high as 300pc on the jets, purportedly on the grounds they benefited from UK and Canadian state aid. But it received a lifeline last month when French giant Airbus agreed to buy 50.01pc stake in the C Series programme and bring some manufacturing of the jets to its plant in Mobile, Alabama, which could help them circumvent US tariffs. Mr Bellemare said he was confident the tariffs would not apply. Belfast East MP Gavin Robinson, whose constituency includes Bombardier's plant, said the letter of intent was "very welcome news". "The timing too is significant and is a vote of confidence in the joint venture between Bombardier and Airbus," he told BBC News. The news came on the same day that Bombardier revealed a 3pc uptick in quarterly revenues to $3.8bn. Net losses widened 24pc to $117m, but earnings before interest, tax and special items, its preferred measure of profitability, soared 83pc to $165m. “We have clearly demonstrated our ability to reduce costs, improve productivity and grow margins,” Mr Bellemare said.